March to the Moon is a humorous shoot-em-up game with RPG elements where you learn abilities from 12 different skillsets. You take the role of The Marcher, an adventurer who sets off to kill some rats in a cellar. One thing leads to another and he ends up marching to the moon to continue the fight. Turn your enemies into skeletons, mummies and vampires as the necromancer. Poison them and burn them while buffing yourself up as the alchemist. Fill them full of arrows and turn them into meat as the hunter. Yes, you can even turn the robots into meat. But don't stop there! Learn a second skillset to get the dual-class paladin-necromancer you've always wanted. March to the Moon got some more good reviews! This time Out of Eight and XBLIGR reviewed it. Out of Eight did a video review, and here it is! I gave him a save file with a bunch of level 100 characters with no skillsets chosen yet so he could do this video. Since he hadn't gotten that far in the regular game he wasn't sure how many points to put into the skills and ended up putting hardly any points in. This made things harder for him than it should have been. His full review can be found right here. Apparently replay value is really up to the user. 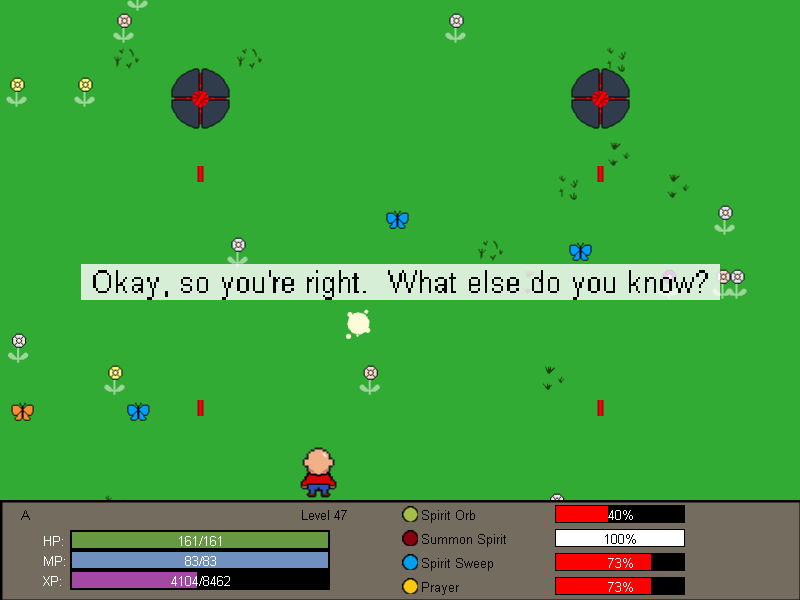 Out of Eight's first sentence in the write up mentioned that there was little replay value. XBLIGR's first sentence, on the other hand, referenced the "vast amount of customization and replay value." XBLIGR really seemed to like March to the Moon. Here are some choice tidbits from their review. "Offering a vast amount of customization and replay value, MTTM is a highly amusing bullet-hell stroll to the stars." "Striking a balance is as easy as trying things out, and swapping out anything you don’t like." "Overall, March to the Moon may not be much to look at, but it still makes for a highly satisfying and addictive shooter." March to the Moon is available for PC and XBox LIVE Indie Games. 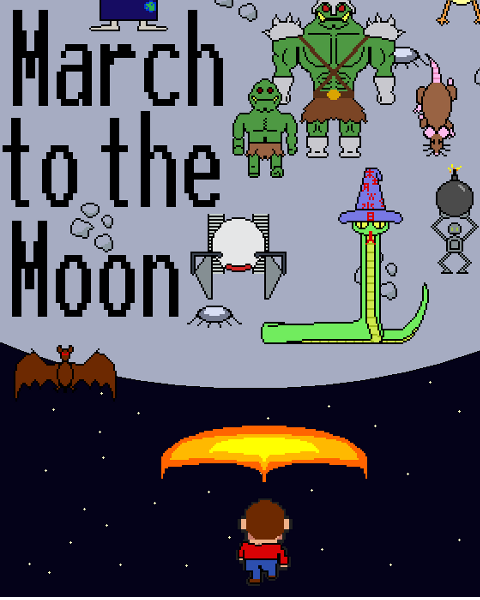 March to the Moon has also been reviewed by The XBLIG, OtakuDante, and Dannie Kitten. Dannie Kitten has reviewed March to the Moon, giving it 8/10. The XBLIG and OtakuDante gave March to the Moon very favorable reviews! Indie Games the Weblog has selected March to the Moon as their XBLIG Pick! This is the demo for March to the Moon. Give it a try! The full game and the demo use the same save file. The game looks great, just the white boxes around some of the info and such makes the game look a bit unprofessional. Even with this in mind, tracked!